SOLVED: Changed the gearbox oil and it's all fixed! I just picked up an 09 Sportback M/T and I regularly have trouble getting into 3rd gear particularly when down shifting from 4th. At some occasions it would go into gear at the first attempt however most of the time I would have to try more than once after a wiggle or shift it back into 4th then 3rd again to work. From reading on the net it seems to be a common issue however none of the threads I've read has a solution. I don't coast in Neutral or with the clutch (maybe the previous owner does?). All other gears click in fine. It's currently at 102k which according to manual us due for a gearbox oil change, however I doubt an oil change would fix the issue or....would it? Last edited by tonee on Thu Jun 21, 2018 12:27 pm, edited 1 time in total. If it doesn't go in the first time, I either push harder, or leave it in neutral then let the clutch out and in again. Seems to work OK. Although, thinking about it, it goes from 4th to 3rd without any hassles if I'm doing some serious engine braking and the engine speed is fairly high. Just read another post where someone had a similar issue and long story short Mitsubishi replace the GB under warranty because the sync in a couple of gears were shot. As Troy said change the gearbox oil.It quite often sorts out any little problems. Great feedback thanks guys, I'll change the oil and hopefully it solves the problem. Think mine was done at the last service, its under warranty and as stated I've had no issues changing gears beyond my own stupidity. lancerdarryl wrote: As Troy said change the gearbox oil.It quite often sorts out any little problems. 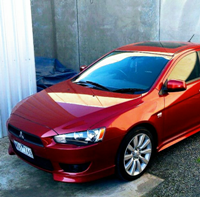 Almost 270K on the lancer and I'd say mine is also due for a change given it is starting to have similar issues to yours tonee. First, go get a 24mm ring spanner if you haven't got one. You won't get a 24mm socket and ratchet in between the gearbox and the subframe to undo the drain plug. Trust me. Second, get one of the pump bottle things so you can pump the oil into the filler hole. Means you don't have to try to remove any stuff from the engine bay or do any trickery to get new oil back in. Third, I would suggest you measure the oil you take out and put the same amount back in, don't just go by some number you find on the internet. Finally, prepare for a ghastly smell, especially with those km's you guys are running. It was honestly one of the worst smelling fluids I've ever experienced, so definitely worth taking extra precautions to make sure you don't spill any, and dispose of it properly. It's a very harsh smell that gave me a headache pretty rapidly, which was very strange for me. It's actually getting worse since I posted this thread, will have to do it this weekend. measuring what you take out is a good idea Skrallex, I use a length of 12 or16mm nylon tube or hose, and a cut open soft drink bottle to fill with, you can mouse the nylon tube wherever you need to. When you get close you just drip fill, and use your finger to feel the level inside the filler hole. Most manufacturers specify the bottom of the filler hole is the level to fill the gearbox to. What grade/brand do you guys use? 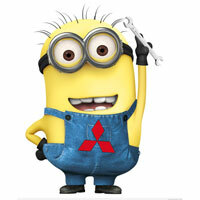 The Manual only says Mitsubishi MTF, I'm looking to get something from Supercheapauto or Repco. I went with either Castrol VMX-80 or 75, can't remember exactly. I imported some Redline stuff but it honestly performed pretty crap so I changed back to the castrol stuff. I used PKGS7585 Peak Semi Synthetic Gear Oil 75W85 GL-4 in the Magna, it also suits the Lancers. You can pick it up from any Bursons store, they brand it as their oil.